The definition of a ‘Simcha’ is a joyous celebration and where better to celebrate than here with us at Allianz Park. 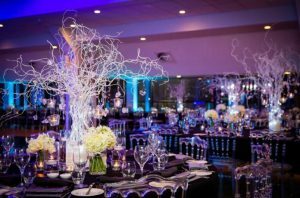 If you’re looking for a North London venue to host your next Bar Mitzvah, Bat Mitzvah or Wedding, why not use one of our stunning function rooms to create an event like no other and let us help you make memories that will last a lifetime? Here at Allianz Park, we have a range of rooms to choose from with the largest being our impressive Olympic Bar – this fabulous event space is able to accommodate up to 2,500 guests for a standing reception (so nobody need be left off that invite list!) With spectacular views over the pitch and a private balcony, the Allianz Suite can host a seated dinner for up to 600 guests and offers a complete blank canvas to theme in whichever way you choose. Our North London location is ideal when it comes to bringing family and friends together for a celebration; situated only five minutes from the M1, A1 and with 800 free car parking spaces on site – we are proud to be able to welcome and comfortably accommodate larger parties and can also help recommend local hotels for those in need of a bed for the night once the celebrations have drawn to a close! With a highly experienced in-house catering team that will work with you to create the perfect menu for your budget and will satisfy all dietary requirements – you can be assured that our team will work with you to ensure that your Simcha is the happy and joyous event it deserves to be. Outside caterers are also welcome here at Allianz Park; we can recommend local kosher companies that we have worked with historically and who are familiar with the venue and guests also have the option to bring in their own drinks with no corkage charge! To find out more, please email info@allianzpark.com or call 0203 675 7290 to speak to a member of our Events team. We were delighted to host the Jewish News Big Family Expo last month at Allianz Park – for 20% off your next Simcha, please quote ‘Jewish Living Expo’ until 30th April, 2019.